In order to secure an E2 work visa (English teaching visa) with Korean Immigration all teachers (except Canadians – see below) must have two (2) documents Apostille Authenticated; your original Criminal Record Check and the Notarized Copy of your Diploma (Degree Certificate). 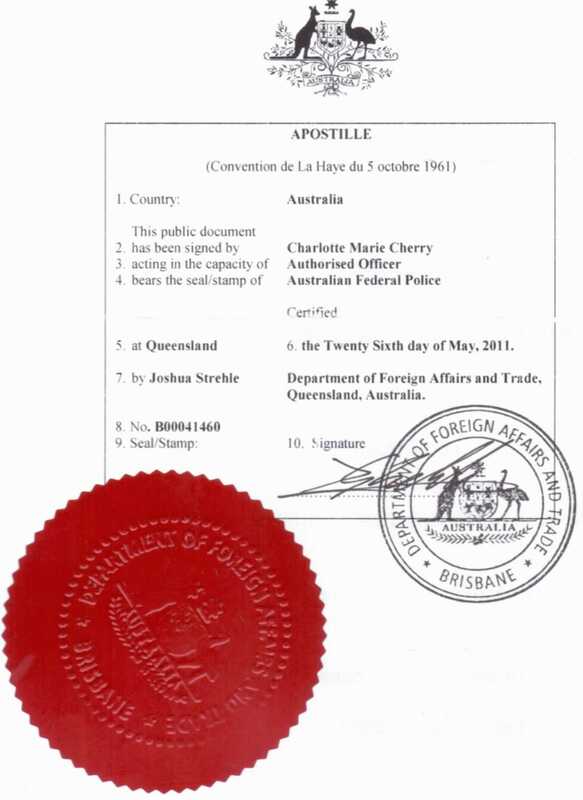 An Apostille is a type of international authentication for documents. Documents that are issued in one country (your country) but need to be used in another country (Korea) must be authenticated or legalized to verify authenticity and eliminate fraudulent documents. What documents need Apostille authentication for Korean Immigration purposes? IMPORTANT: Korean Immigration requires an individual Apostille authentication for both documents. Meaning, you need to have your criminal record check and diploma Apostilled separately. To be clear, DO NOT have these documents Apostilled together as a single document. 1) Original Criminal Record Check: All applicants (except Canadians) must have their original Criminal Record Check (CRC) authenticated with an Apostille. There are no exceptions to this requirement and failing to authenticate your CRC will result in a denied work visa with Korean Immigration.Note: Most Apostille issuing offices will only authenticate CRC’s that have been notarized, therefore, before you request the Apostille authentication please call the respective issuing office first and ask them if the notarization is also needed. If the notarization is required then you will need to bring your CRC to a Notary Public, or Lawyer with a notary license, and ask them to notarize your original CRC.Note: If you need to have your CRC notarized before you can request the Apostille authentication then please ask the Notary to notarize your original CRC. To find a notary in your area simply do a Google search for: ‘Notary Public + your city name’. 2) Notarized Copy of Bachelor Diploma (Degree Certificate): All applicants (except Canadians) must submit a photocopy of their degree/diploma which has been notarized by a Notary Public and authenticated with an Apostille. Before you are able to secure the Apostille authentication you will need to bring your original university diploma to a notary public, or lawyer with a notary license, and ask them to make you a notarized copy. The notary will photocopy your diploma then sign and stamp the copy – you now have a notarized copy of your degree. Once this step is complete you can bring or send the photocopied version of your diploma (which was notarized) to the appropriate office to secure the Apostille authentication. (Refer to the table below for Apostille issuing offices in your country of citizenship). Canada was not a signatory of the Apostille treaty, therefore, Canadians do not authenticate documents with Apostille certificates. Alternatively, Canadians need to have their original criminal record check, and notarized copy of diploma, authenticated by one of the Korean Consulates with a consulate verification stamp. 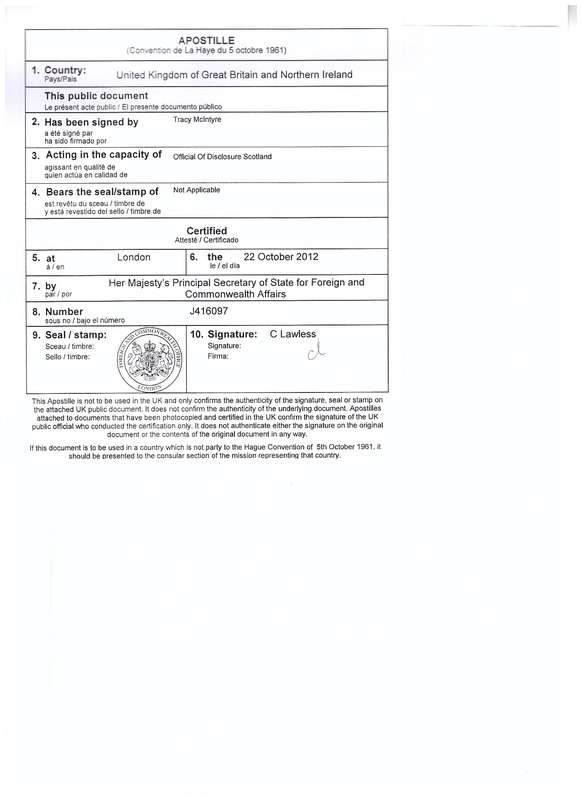 What forms of ID are needed to obtain the Apostille authentications? Government offices have minor variations in their issuing policies. As a result you may need to provide your specific office with certain documentation that isn’t required by other offices (examples: additional signatures, stamps, government issued ID). Please contact your Apostille issuing office in advance to clarify what documentation will be required in order to obtain Apostille authentication for your Criminal Record Check and notarized copy of Diploma. How much does an Apostille Authentication cost? Costs vary between countries and prices range from $20 – $80 per document. If you plan on mailing your documents for authentication then make sure to confirm which payment methods and mailing methods are acceptable because some government offices do not accept personal checks, money orders, etc. Apostille authentication timelines vary between countries and their respective issuing offices. Likewise, much depends on whether you mail your documents to the office or visit in person. 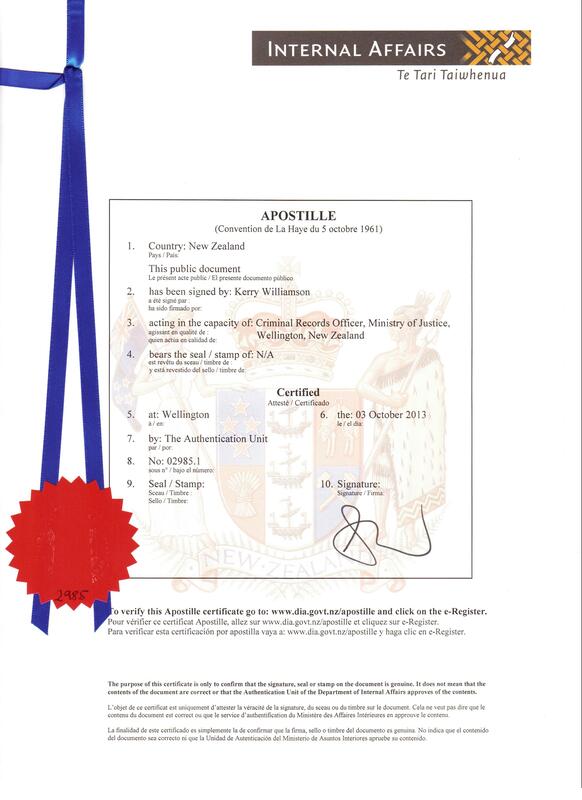 In most instances government offices can authenticate your documents with an Apostille in 3-5 business days. This time frame doesn’t include the courier time involved. Can my government Apostille documents that were issued in a foreign country? Not that we’re aware of. To our knowledge, governments can only Apostille documents that were issued from institutions within the same country. 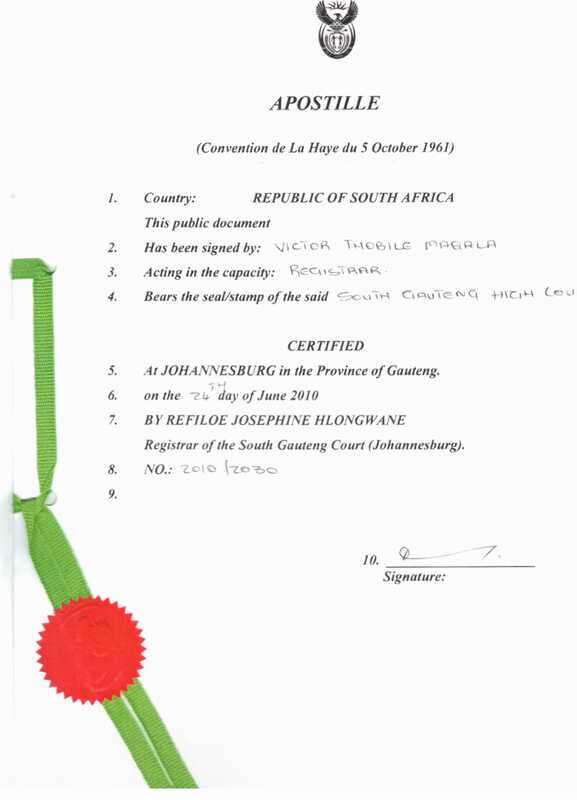 For example, a British candidate who graduated from a South African university cannot have his/her diploma authenticated with a UK Apostille. Alternatively, they will need to have it authenticated by the South African government.